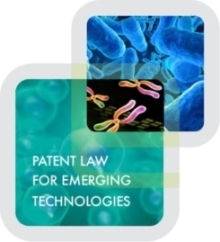 Carolyn brings science, business and law together in developing strategic patent portfolios. Her insider’s view of the patent process means Carolyn knows successful and unsuccessful strategies for shepherding patent applications through what can be a very complex maze. Her significant experience in private practice includes Hamilton Brook Smith & Reynolds. P.C., where she became a principal and shareholder. Carolyn has drafted and prosecuted patent applications in the pharmaceutical and biotechnology industries for a number of clients. Carolyn also counsels clients in matters relating to patent infringement, validity, licensing and intellectual property due diligence. Carolyn began her career at the United States Patent & Trademark Office (the PTO) as an Examiner in the organic chemistry group (Group 1200) in 1984. 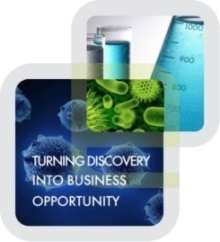 In 1988, she was recruited to work in the biotechnology group (Group 1800). Carolyn became a Primary Examiner in 1991. She has granted approximately 250 patents and examined patent applications related to pharmaceuticals, enzymology, microbiology, herbicides, pesticides, lipid chemistry, and dyestuffs. In 1992, Carolyn accepted a position as Acting Supervisory Patent Examiner in Group 1200 where she supervised and trained the examiners in the pharmaceutical and agrochemical areas. At Hamilton Brook Smith & Reynolds, Carolyn advanced to Partner from Supervising Patent Agent and Patent Agent. While at the United States Patent & Trademark Office, she held positions in increasing authority as Patent Examiner, Primary Patent Examiner, Supervisory Patent Examiner, and Special Programs Examiner.